Can’t stop the compulsion to pick? It can start out as harmless as popping a whitehead, but can quickly progress into blood-and-swelling territory. So, in the spirit of resolutions, I’d like to challenge you to a skin resolution: Stop picking at your skin blemishes, no matter the size or occasion. While this may seem impossible for many of us, here's why — and how — you can finally make a skin resolution that sticks. Picking at the skin, whether a blemish or any other skin growth, is serious business. Some of the worst skin conditions I've seen have come from chronic, continual skin pickers. Generally, people pick at their skin for one of two reasons: It’s either a nervous habit, or an attempt to make it go away faster. In truth, blemishes usually last five to seven days, but the red or dark scar from picking at the blemish can linger for weeks, or even months. If you’ve identified yourself as a picker, here are a few tips to keep the habit at bay. 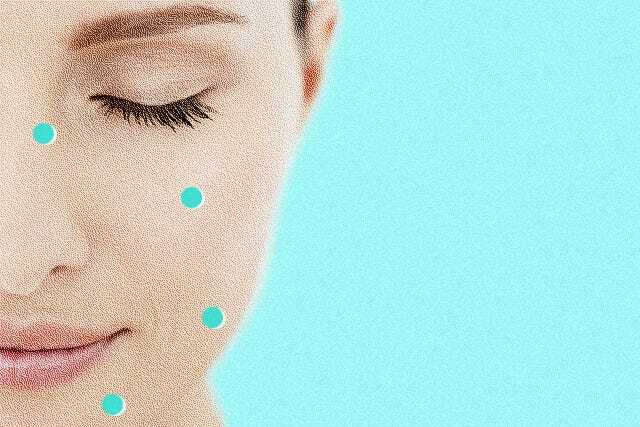 Understand the psychological reason you pick at your skin. 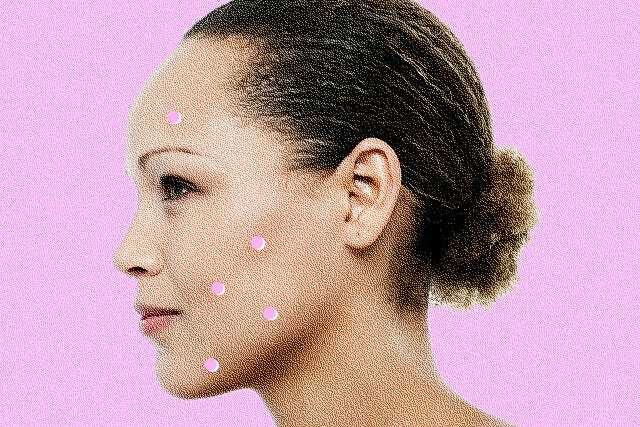 If you pick at your blemishes, chances are you do this simply to make a blemish go away faster. But, if you're someone who picks at your skin compulsively — even when no blemishes are present — you may have a serious condition called Dermatillomania, which can lead to severe skin scarring. If this sounds like you, consult with a physician or holistic professional to find ways to get this under control It's not a common condition, but it can be alarming. Sign the No Picking Contract. When setting a goal, we all can use some accountability. I created this free, downloadable contract that you can sign to commit to keeping your hands off your face. Show it to your spouse or a friend and tape it on your bathroom mirror so you can keep it top-of-mind while having someone else to keep you accountable. In the same vein, if you find yourself picking in the bathroom mirror most often, put a note on the mirror to remind you not to pick. It’s also helpful to remember that a red, closed bump will be less noticeable — and easier to conceal with a bit of makeup — than an oozing, bleeding scab. The choice is yours. Reduce temptation to pick by preventing blemishes. Obviously, never getting a blemish would resolve the urge to pick. But, because that's next to impossible, be sure you're using the right products to prevent breakouts. Salicylic acid is one of my favorites for both preventing and fading blemishes: It not only penetrates pores and reduces bacteria, but it exfoliates surface cells to fade acne marks. Be sure to consult with a trusted professional to suggest a personalized skin routine for your skin type and needs. 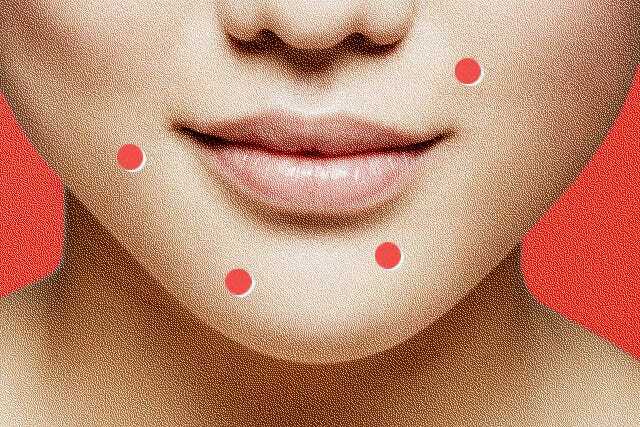 If a blemish pops up, make sure you are treating it correctly. For acne cysts — those hard, sore bumps under the skin that linger for weeks — the best bet is to leave it alone. Traditional spot treatments will only dry out skin. Instead apply ice or use a treatment specially formulated for cysts. For on-the-surface, infected blemishes, apply a topical treatment loaded with ingredients like camphor, sulfur, and zinc oxide. If you simply experience congested pores, exfoliate often to help clogged pores purge naturally. Don’t interfere with the natural healing process. Here's some food for thought: When a smoker finally decides to quit smoking, the lungs can start to heal themselves from the damage with the nicotine. When you accidentally cut yourself, the skin quickly stimulates repair processes to help close and heal the wound. When it comes to blemishes, your skin will do everything it can to get it to heal and go away — even if you don't treat it with a topical spot treatment. (note: The tooth is the only part of the human body that can’t repair itself.) 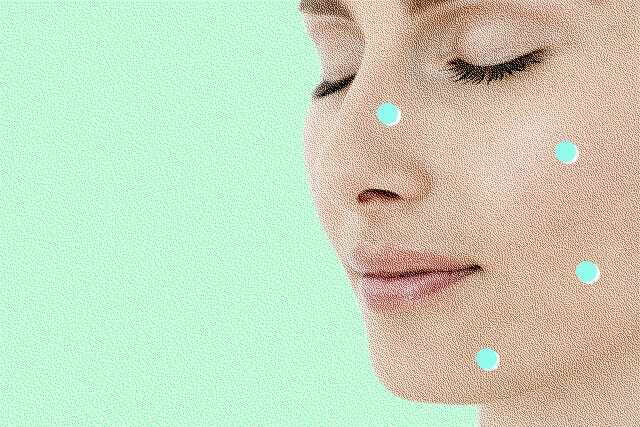 It’s important to be mindful of letting your body do its work to heal a blemish without you disrupting the repair process. Even if you choose not to pick, blemishes can still leave a red or dark acne scar because they often stretch and damage the surrounding tissue, resulting in increased melanin activity. To treat scars, increase your use of both chemical and physical exfoliants to help stimulate new and healthy skin cell growth while removing the scarred, damaged cells. Like any bad habit, picking at your skin will take time to break. You'll need some serious willpower, but once you start to see the improvement in your skin, this should give you the strength and encouragement to keep from picking. Good luck!